Bed of Nails was introduced to the U.S. market in 2010 by founder Carina Tannenberg. 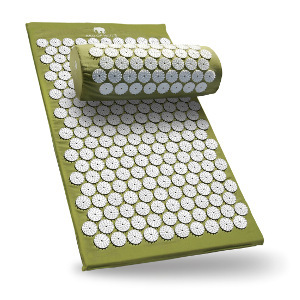 Their affordable line of Swedish-designed acupressure mats and pillows are made from sustainable materials and embody all the healing benefits of acupuncture without the need for expensive treatments. The company aims to help people create and maintain a healthy lifestyle amid the stresses of the modern world. Follow Bed of Nails and get notified when they add new offers to Vegan Cuts.